I can dub a video to a dvd and play it on the dvd player but it won't work on other dvd players and when I put it into a computer it appears to be blank. Please help! When we Plug it in at the socket it just makes a ticking sound. And the on-off light and 'select' lights blink in time with the tick. Only way to stop it is unplug at the main socket. It randomly shuts down after a few minutes and refuses to come back on. Problem: I can dub a video to a dvd and play it on the dvd player but it won't work on other dvd players and when I put it into a computer it appears to be blank. Please help! All problems on this page have been submitted and answered by users. 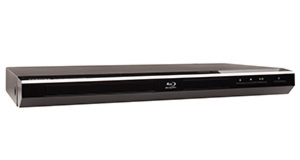 If you have a problem with the Toshiba DVR20, please submit it below and we'll post it here. 4 people also had this problem. Problem: When we Plug it in at the socket it just makes a ticking sound. And the on-off light and 'select' lights blink in time with the tick. Only way to stop it is unplug at the main socket. Problem: It randomly shuts down after a few minutes and refuses to come back on.